Spring is finally peeking through the cold in NYC and what better way to celebrate than to get out and enjoy it? 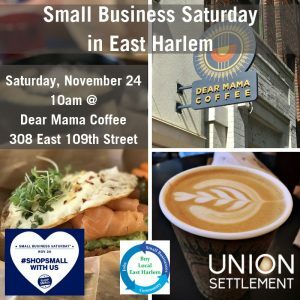 And if you need to know what’s going on and how to support local merchants while you’re out in East Harlem, we’ve got you covered. 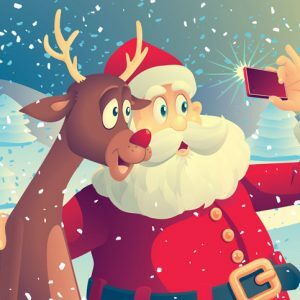 Over the next few months going into the summer, we’re putting together a string of events to help you enjoy more time with family and friends, acquaint you with the neighborhood, and even help you grow if you’re a small business owner yourself. 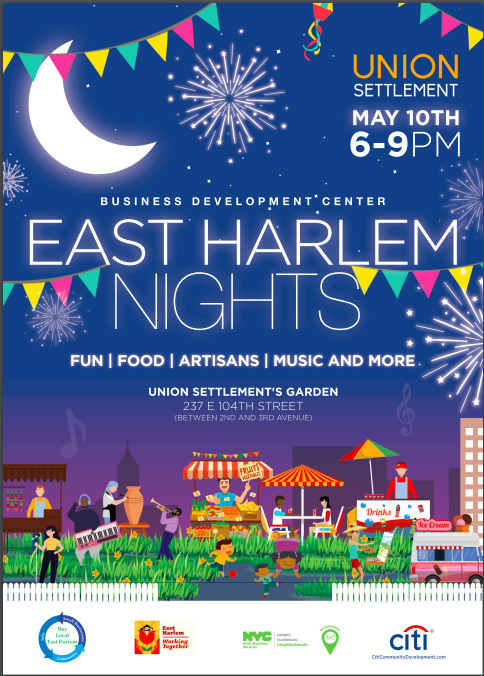 One of our most exciting events on the calendar will be East Harlem Nights, where we’ll create the space for local artists, musicians, artisans and food vendors to get to know and more deeply intermingle with the community they serve. Some of the vendors and merchants you’ll know while others you may not, but the night market is going to be a lovely night to get reacquainted. A community is only as strong as the connections between the people in it, so we’re looking forward to seeing you there. If you can’t wait for East Harlem Nights, join us this month for our monthly Cash Mob. 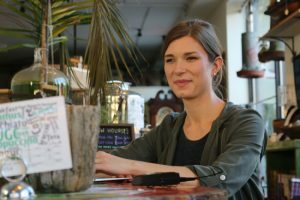 Our goal is to strengthen the network between the community and the merchants that serve it, and encouraging both to meet and interact face-to-face is a great way to facilitate that. It’s happening on April 14th at Dear Mama Coffee and you can RSVP here. Whether you’re a patron or a merchant, our upcoming events will be a great way to get your summer started. 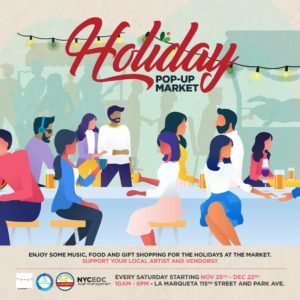 These next few months will absolutely have East Harlem abuzz and we’re excited to see you out!